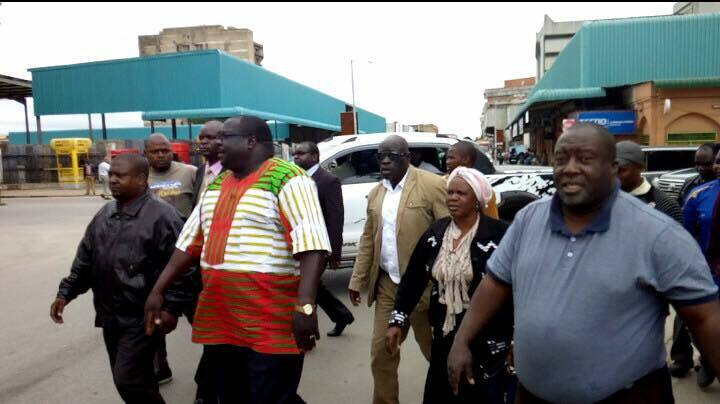 The family of Roan PF Member of Parliament Chishimba Kambwili has spoken out publicly about the manner in which the PF government wanted to have the outspoken lawmarker evacuated to South Africa for specialist medical treatment. In an interview, Mr Kambwili’s elder brother Pastor Mutale Kamwbwili charged that the plan by the state to evacuate his brother to South Africa was part of the plan to have him killed. Pastor Mutale said the offer by the state was ill intentioned, full of evil and full of bad plans because they were the ones that allegedly worsened Mr Kambwili’s medical condition after a prolonged detention. He charged that the Kambwili family turned down the offer because it was not genuine. “The offer was ill intentioned, full of evil and full of bad plans because they were the ones that worsened Kambwili’s condition. They denied him police bond which is his constitutional right because the charges he is facing are bondable offences. As a Zambian, he has a consitutional right to be given a bond but they refused to give him and they detained him from morning in a very bad room, confined room, no ventilation, stinking, the room was very filthy from morning to 17 Hours,” he narrated. Pastor Mutale also criticised President Edgar Lungu accusing him of being ungrateful. “Mind you, Edgar Lungu must come back his senses that he is President today because of Chishimba Kambwili. Had it not been for my brother to campaign for him, today Edgar Lungu was not going to be republican President, it was going to be HH,” he stressed.